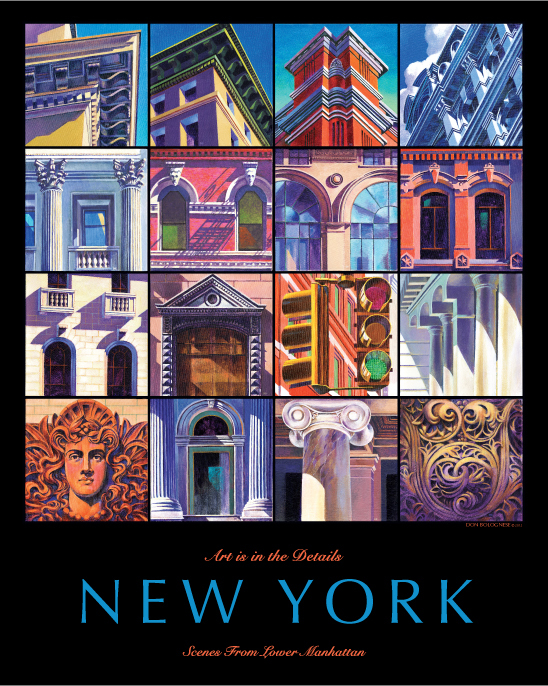 Art is in the Details grew out of my love for the architecture of the greatest city in the world – New York. I grew up in New York, and years later, its kaleidoscopic effect of light and shadow still fascinates me. The 16 individual canvases in a 4x4 square instantly gives you the sense that you are walking through a dazzling and timeless New York day. New Yorkers, seeing the completed painting, say "This is the New York I love!" For your security, PayPal handles all payments. No account required. Questions? Want to tell us what you think? Please contact us!